Our little list of the wedding merchandise and memorabilia related to Harry and Meghan’s wedding. 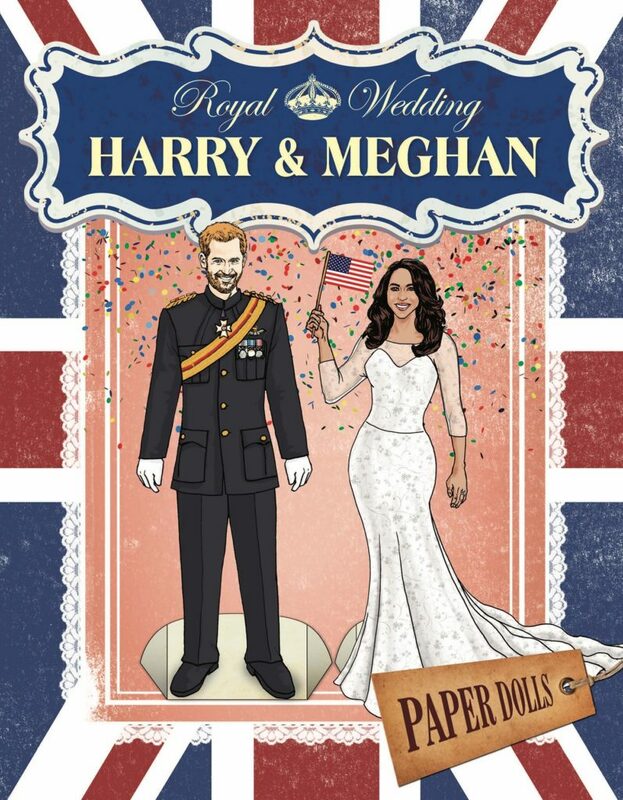 We are excited to offer our very own royal wedding collectible! 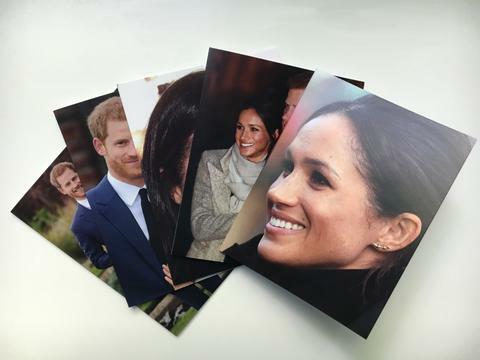 It is a limited edition set of Meghan and Harry note cards featuring simply stunning photos from award-winning royal photographer Mark Stewart (known to many of you as Regal Eyes on Twitter). There are 10 cards in the set, and they come with 11 envelopes; the set is $14.95 and available here. The Royal Collection china for the wedding has been very popular. John Lewis carries a selection of the china and the Royal Collection has many items still in stock. The much-loved Emma Bridgewater “Game Changers” Half-Pint mug is available via Emma Bridgewater (£19.95, $34.95 + $30 shipping); it is also offered in the US at Joanne Hudson ($37.99 with free shipping) and at Amazon. 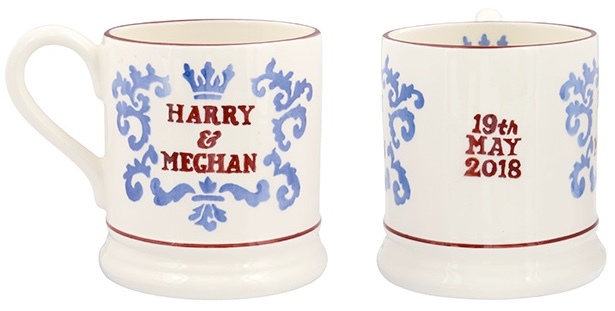 Also by Emma Bridgewater, the Harry and Meghan Sponge mug. It is offered at Emma Bridgewater (also £19.95, $34.95 + $30 shipping), as well as Joanne Hudson ($37.99 with free shipping). 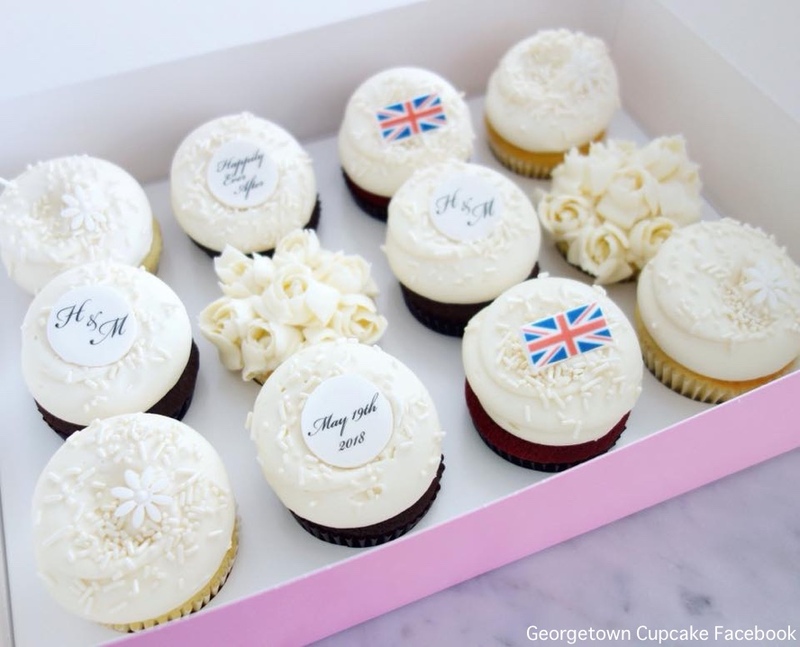 Georgetown Cupcake, featured in DC Cupcakes on TLC, has put together a special dozen cupcakes in honor of the wedding. Flavors included in the special mix: Lemon Elderflower Rose, Red Velvet, Chocolate & Buttercream, and Vanilla & Buttercream. You can order the Royal Wedding Dozen here ($36), available May 1 – May 21. 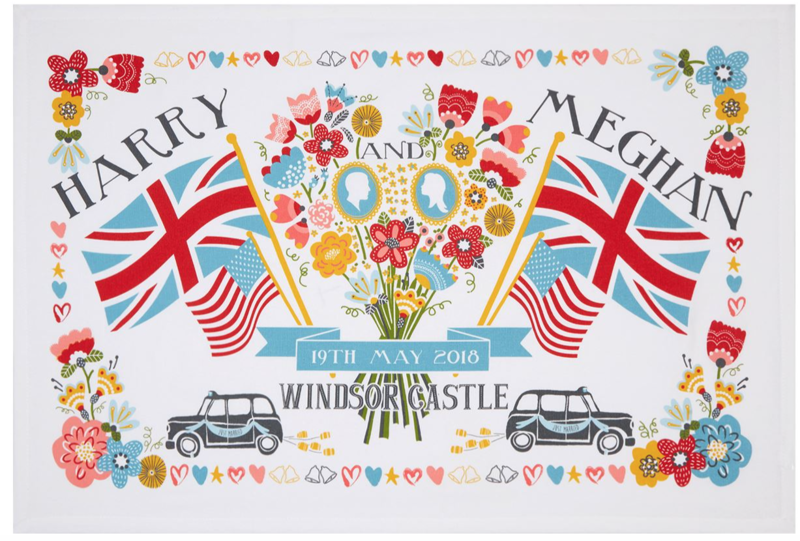 Retailer Cath Kidston is offering some fun, whimsical items in honor of the wedding. There is an abundance of tea towels. Emily Nash from Hello! has been sharing some cute designs, including this one available at Harrods ($17.40). 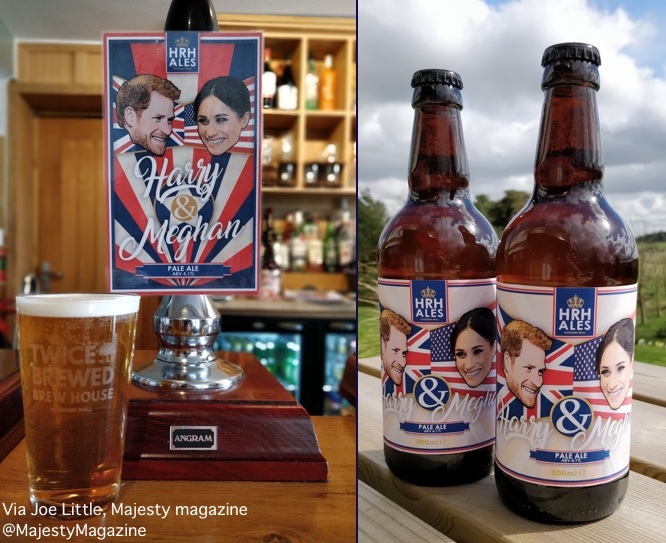 The Twice Brewed Inn, a microbrewery in Northumberland, has finalized plans for a Harry & Meghan bottled beer. Really. Thank you to Joe Little of Majesty magazine for the tip! 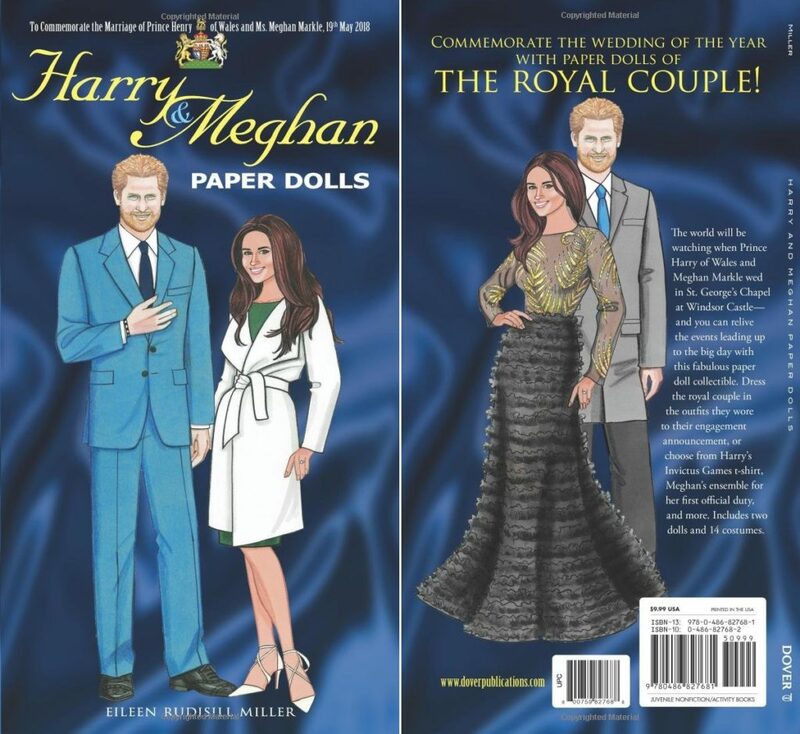 With all due respect to Prince Harry, in this paper doll set at Amazon ($9.99) his hair looks like a porcupine. In this set now available at Target ($7.40) it is Meghan that doesn’t look right. If you find the paper doll business too arduous there is always a coloring book. 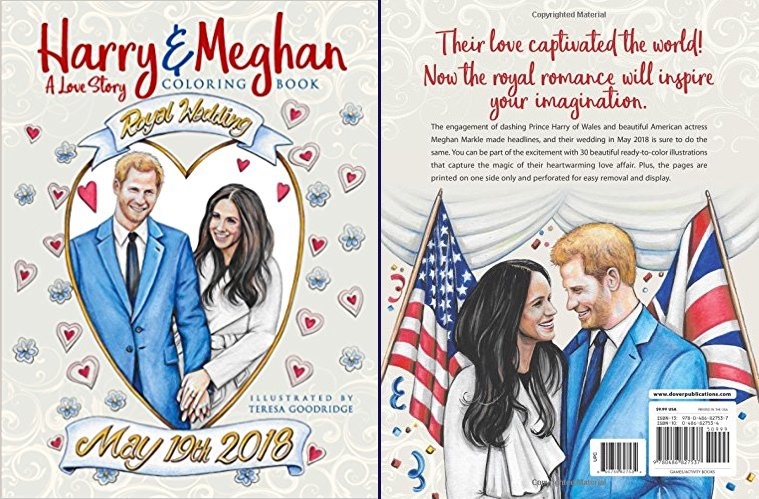 Behold, the Harry and Meghan Coloring Book. This can be yours for just $8.98.